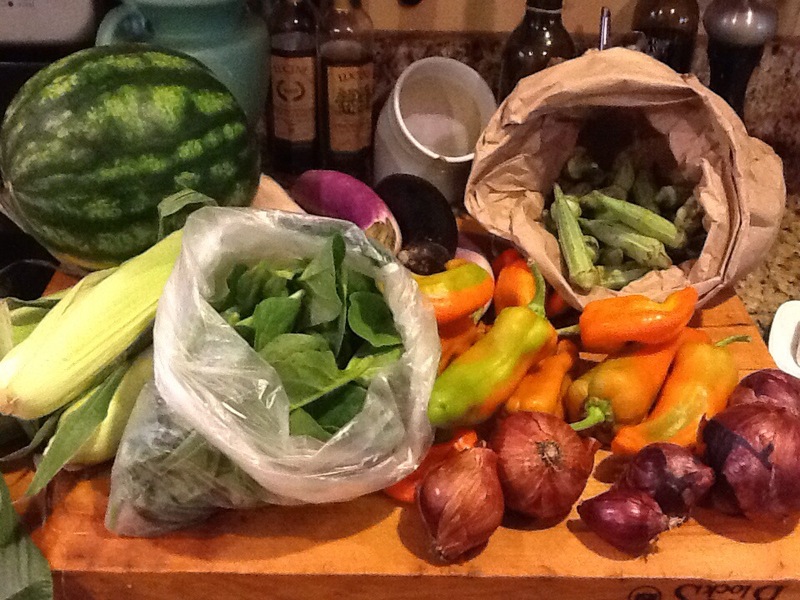 Watermelon, Chinese eggplant, okra, peppers, red onions, Malabar spinach, and corn. Here is what we got in the box this week. John kindly swapped out the yard long beans for some malabar spinach, since we have so many of the beans from our own garden. By the way, here is the recipe I use for pickled yard long beans. You curl them into the jars whole so they look great in the jar and they come out like a Slinky.